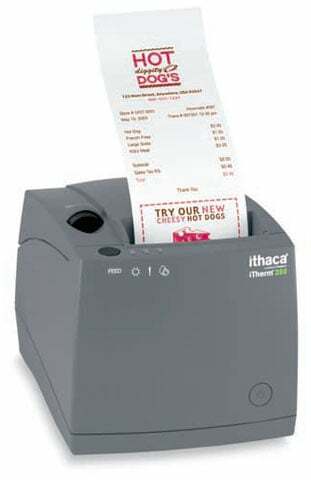 Meet the iTherm 280 thermal printer. Get ready for crisp, clear 1 or 2-color receipts with eye-catching marketing messages. The iTherm 280 is the intelligent choice for a number of reasons. For starters, it accommodates a large 4-inch diameter paper roll that drops right in. That means reduced downtime and maintenance expense. Its internal protected power supply and vertically mounted PC board are all part of its robust spill resistant design. It prints at an incredibly fast 8 inches (203 mm) per second. We offer a standard 2-year warranty with extended maintenance options. And, of course, the iTherm 280 is backed by a solid reputation for quality and reliability. The Ithaca 280USB-DG-SYM is also known as Transact Ithaca	ITH-280USB-DG-SYM	or 280USBDGSYM	.